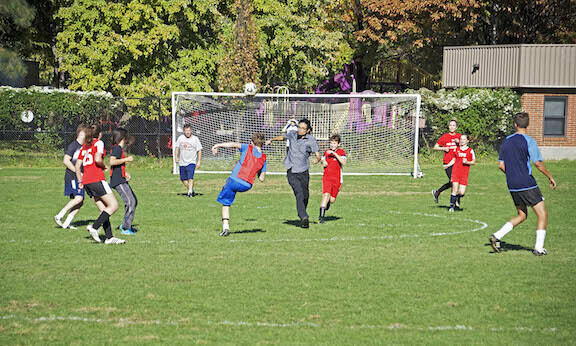 On Friday afternoon the 8th grade and the faculty faced off in an exciting soccer game. The game was tied 2-2 at the end of regulation, but the 8th graders won the penalty kick shootout. Congrats to the 8th grade on their 4-3 victory.